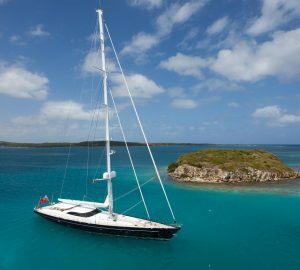 The 108ft Alloy Yachts-designed sailing yacht MARAE is offering remaining June weeks in New England with a 10% discount. 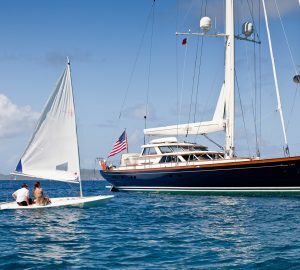 Built in 2004 and refitted in 2016, the yachts naval architecture is by Fontaine design group, and she accommodates up to 6 charter guests, in 3 cabins. Her interior décor is elegant with lovely wood finishes, custom soft furnishings and the finest in fixtures and fittings. An open plan salon and dining invites a social ambience, while an upper deckhouse salon features seating and a wet bar. With only a few steps between the 2 spaces, the atmosphere is open and airy. 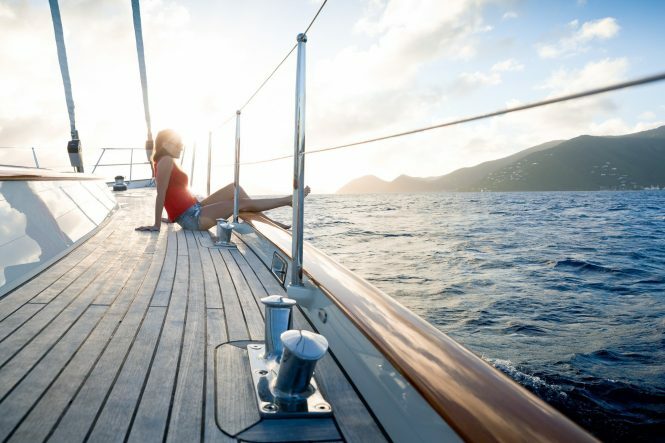 Teak decks provide a number of relaxing areas while on charter, from the aft deck with alfresco dining, seating and optional shade, to the main cockpit and vast foredeck. 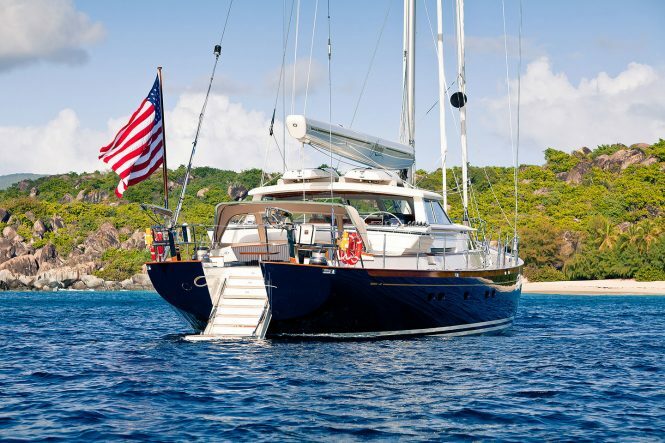 A folding swim platform on the transom allows for easy access to the good array of water toys on offer. The sloop rigged MARAE is powered by NL Lugger engines and has speeds of 8 – 11 knots. 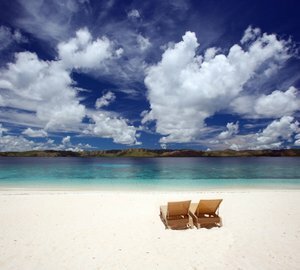 Accommodation aboard comprises 1 full beam master stateroom, 1 VIP cabin and a twin cabin. All 3 cabins are aft of the salon, ensuring guest privacy. 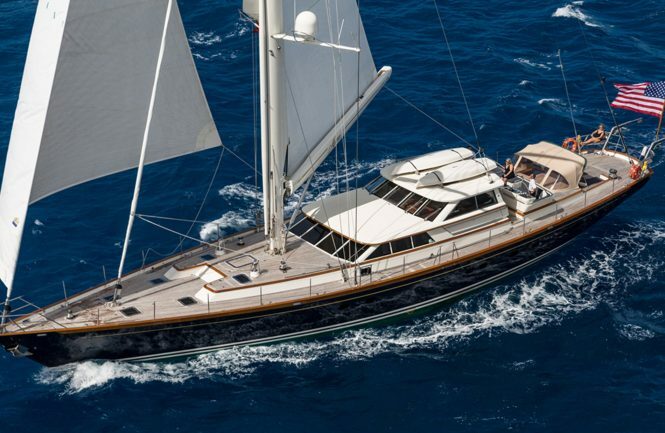 Please contact CharterWorld - the luxury yacht charter specialist - for more on superyacht news item "10% off remaining June charters aboard 108ft sailing yacht MARAE in New England".